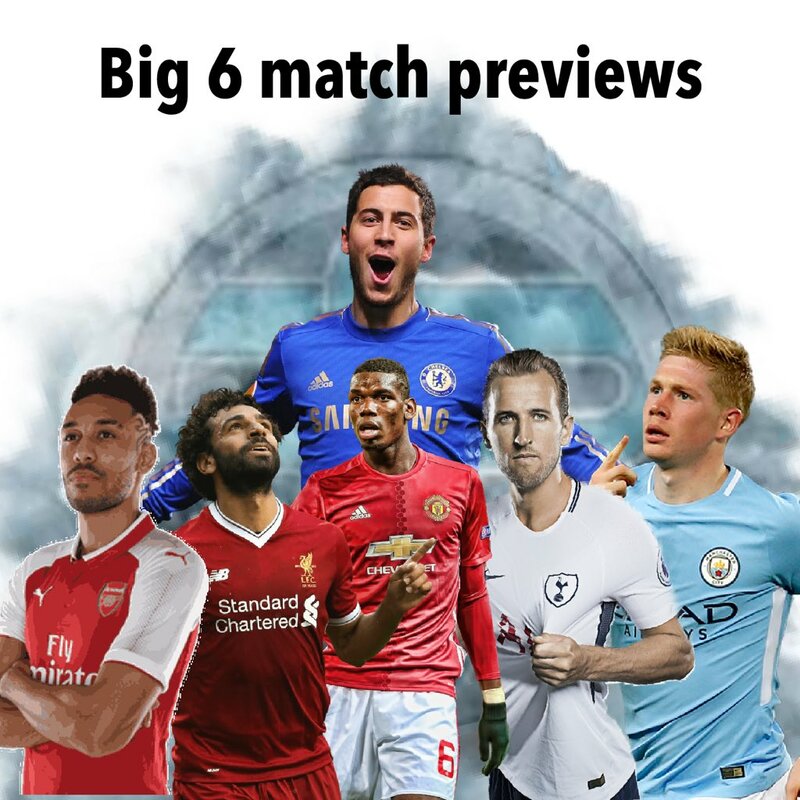 Another midweek game for the top six means that we are reaching that point where squads start to get stretched, is this the weekend where Manchester City start to assert their dominance? Liverpool are now the only team with a 100% record but they face the team that toppled them midweek in the Carabao Cup. I think it could be a torrid weekend for the top six, there are some really interesting fixtures. Manchester United have lurched from match to match and with wildly different performances all season. There is no discernible pattern to their play and no discernible pattern to their results. Mourinho has been there a while now, they should be performing better. West Ham however started the season really poorly but have turned a corner and results have picked up. You can see what they are trying to do and how they are trying to play. I have a feeling there will be a lot of goals in this one. This is a tricky tie for Arsenal. Arsenal have managed to win their last four games but have really ridden their luck in order to do so. At some point their luck will run out and someone will make them pay. Watford with their hard running, hard working, direct style may, just be the team to make them suffer. If the first two games promise goals this match definitely doesn't. Huddersfield are dour, dirty and defensive minded. They will keep the game very tight and look to limit Spurs chances. Spurs are also struggling to truly express themselves this season which means this could be a match for the diehards only. I think Spurs will have enough quality and knowhow to grind out a win but it will be a tight affair. Brighton have made a decent start to the season, in particular the win over United, but, ominously City have started to run through the gears. Brighton could be in for a relentless afternoon, they don't travel well, they don't have enough pace to be a threat themselves and I think City are going to run riot. Chelsea will be hoping to do the double over Liverpool in the space of a few days and Liverpool will be desperate to maintain their 100% record. The midweek game will have little bearing on this one as the teams will be much changed. Wednesdays result may give Chelsea confidence or it may fire up the Liverpool players. This is a pivotal match in the season and I have a strong feeling Liverpool are going to win surprisingly comfortably.